HR Software features specially made to boost your efficiency. Easy attendance with mobile apps PayrollBozz and time attendance devices for all employees. Take control of attendance administration and access all the data live and online from dashboard and reports. Submitting a request for reimbursement and loan is now digitized to improve efficiency and faster communication from supervisor / finance officer to employees. Faster, tidier and better for your office administration and culture in the long run. Process payroll calculation for all employees easily with our online Payroll System. Instead of hours and days used to calculate and review payroll, let's talk minutes. 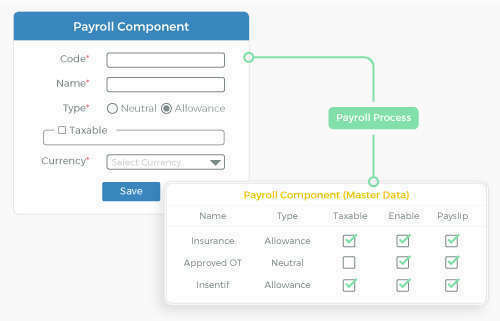 And you can customize the payroll components for every employees using formula just like you do in spreadsheet. It is always the mobile apps that changes the way we live in this modern world. 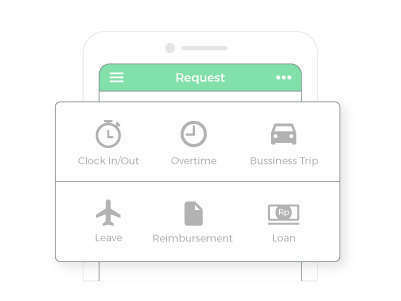 By using PayrollBozz mobile apps, employees can now make administrative requests, and supervisors / managers can review and approve requests, all from their mobile phones. The Best HR Software for Your Business. PayrollBozz is one of the best HR softwares online with features that can accommodate your company’s needs, from HR administration, payroll system, employee attendance management, and HR processes overall. By using this online HR software, one can expect the HR administration to be tidied up immediately with faster updates because of the delegation of tasks and responsibilities to all employees. Aiming to be the best Payroll softwares, PayrollBozz can easily process monthly, bi-weekly or weekly payroll with formula based calculation automatically with high accuracy. Payroll reports with all components will be generated for management review and bank transfers requirement. Online payslips can then be generated and sent to employees via mobile apps and emails. Once the administrations, HR activities and payroll processes have been taken care of, you can start manage employee performances by implementing performance appraisal and KPI system to reward the best performing employees and perhaps penalise the worst performing employees. 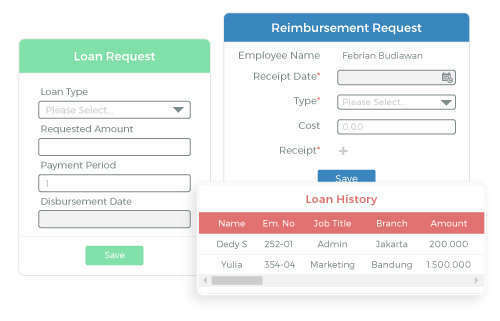 PayrollBozz is currently serving hundreds of companies and thousands of employees in Indonesia, and we will be very delighted to welcome you as our customer soon. If you are using other vendors, talk to us, we can definitely help your transition to our system smoothly at no additional costs.